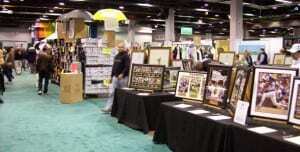 Get ready for oldest and biggest winter golf show in the Chicago golf area with the Chicago Golf Show 2012, which takes place February 24-26 at the Donald E. Stephens Convention Center in beautiful Rosemont, IL. The 29th Annual Chicago Golf Show will feature a huge gathering of the top golf equipment manufacturers and local golf courses. The 2012 Chicago Chicago Golf Show will allow attendees to hit golf balls with this year’s new clubs and take one-on-one full-swing and putting lessons from Illinois PGA Teaching Professionals. Attendees will also get show special bargains on gloves, balls, shoes and other golf apparel and equipment. Watch golf instructional presentations from top national and local PGA and LPGA professionals at the Golf Academy and Junior Golf Academy Stages. Attendees will also receive discounted rounds for the season at area golf courses and golf vacation ideas for hundreds of resort destinations.